Collectors frequently sell old Sinclair products on eBay.co.uk. Click the "GO" button on the left to find any Sinclair Interface 2 being auctioned. Today, these cartridges are rare collector's items. The reasons for the Interface 2's failure were not hard to find. Most obviously, the cartridges were simply too expensive (at £14.95 each), especially when compared to tapes which sold at only a third of that price. If you could buy Jet Pac at £5.95, was it really worth another £9 not to have to sit through three minutes of loading? The joystick port, although useful, was let down by its non-adherence to the Kempston standard. The vast majority of joysticks available for the Spectrum - many of which were better than Sinclair's own offering - were thus incompatible with the interface. Quite why Sinclair decided to bring this product to the market is unclear, but it may have been inspired by Timex's TS 1510, a device produced to allow the use of cartridges on the TS 1000 and TS 1500. Sinclair also produced a joystick, in tasteful matt white, to plug into the Interface 2's non-standard ports. Four years later, Amstrad surprised many when it too rejected the Kempston standard and incorporated Sinclair joystick ports into its Spectrum +2 and +3 machines. 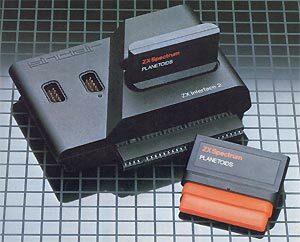 In contrast, most Sinclair clones followed the market leader and used Kempston-standard joystick ports.